Star Wars: Republic Commando is a tactical first-person shooter video game, set in the Star Wars universe, released in the U.S. on March 1, 2005. It was developed and published by LucasArts for the Microsoft Windows and Xbox platforms. The game uses Epic Games’ Unreal Engine. As of April 19, 2007, this game is backwards compatible for the Xbox 360 with a downloadable patch. The game features some gameplay elements that resemble features in other first-person shooters, including Metroid Prime, and Halo. The heads-up display (HUD) in the game resembles the Metroid Prime helmet display and the player sees the world through visor. The usage of health and recharging shields, as well as the general combat gameplay, resemble styles seen in Halo. An unusual feature is that blood from enemies (or lubricant fluid in the case of mechanical opponents) dispatched at close quarters that will splash onto the helmet visor, can slightly obstruct vision until an energy-based “windshield wiper” cleans it off at intervals of a few seconds. Wikipedia®. 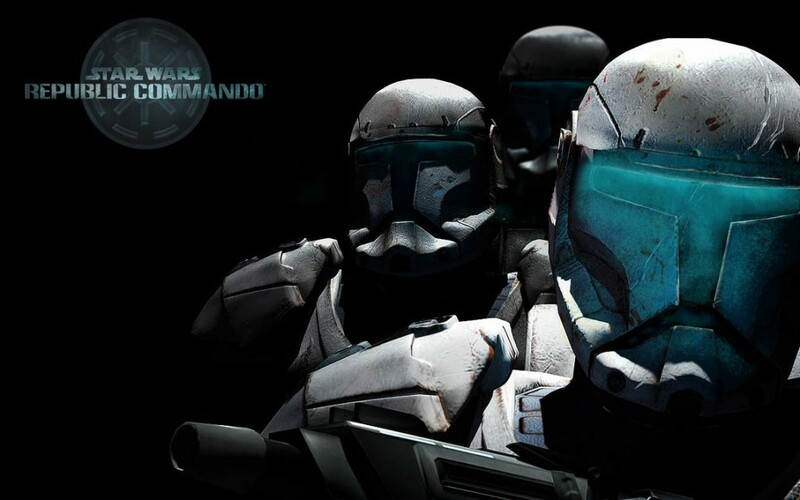 Star Wars: Republic Commando is a dark and intense first-person shooter for the Xbox video game system and PC, utilizing an enhanced version of the acclaimed Unreal engine technology. Unlike the largely main character focused Star Wars games of the past, Republic Commandopresents a dramatic military-style action experience from the point-of-view of an elite squad member of a Republic Special Operations unit. Players step into the role of a Commando performing precision operations deep behind enemy lines in this brutally realistic Star Wars combat experience. The game is set at the start of the Clone Wars, as seen in Episode II, featuring Clone Troopers and Jedi fighting a common foe side-by side. Trainer for the game Star Wars – Republic Commando, you can use it to activate these essential cheat Codes: Infinite Health, Infinite Shields, Unlimited Ammo, No Reload, Unlimited Energy, Unlimited Grenades. Note: This cheat tool is for the original v1.0 version of the game.